The organization of democratic elections in Azerbaijan depends on the position of entire society, but on individuals, even President Ilham Aliyev, Laurie Bristow, the British Ambassador to Azerbaijan told journalists. Drawing attention to a presidential decree on Improvement on elections experience, issued by Ilham Aliyev on 11 May 2005, the Ambassador stated that the document did not change the composition of the elections commissions, but only envisaged the common directions of work to be done during the elections period. The parliament also chose this way, but it does not mean that the elections scheduled for 6 November will not be democratic. According to British diplomat, there is not an only model for holding parliamentary elections in the world. В"The most important is the observation of the elections law which envisages exact procedures for the development and organization of parliamentary elections in Azerbaijan,В" Bristow underlined. However, the final decision is still to be taken by the electors, added. 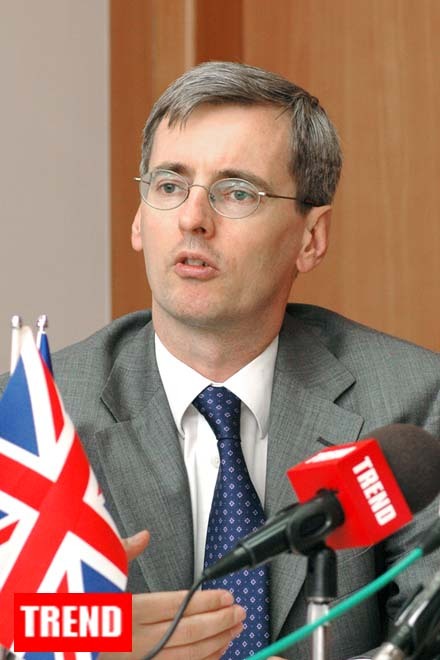 Touching upon the development of relationships between the EU and Azerbaijan, the diplomat noted that the crisis of non-adoption of a unified European Constitution did not change UKвЂ™s position as a chairman-in-office of the EU on the issue of necessity of continuing the European Neighborhood Policy. The Ambassador reminded that by the end of 2005 EU-Azerbaijan partnership program should be adopted developed and adopted. В"Azerbaijan and the EU will continue the cooperation,вЂќ Bristow underscored. On 14 June 2004 the EU Board resolved to include the South Caucasus countries to European Neighborhood Policy (ENP) sphere of action. The ENP adopted by the CE Board was a result of the work over the document вЂ�Expanded Europe вЂ" new neighborhoodвЂ™ adopted in March 2003.